When dreaming of your perfect kitchen, it can be hard to decide what changes need to happen in order to make it the perfect space. 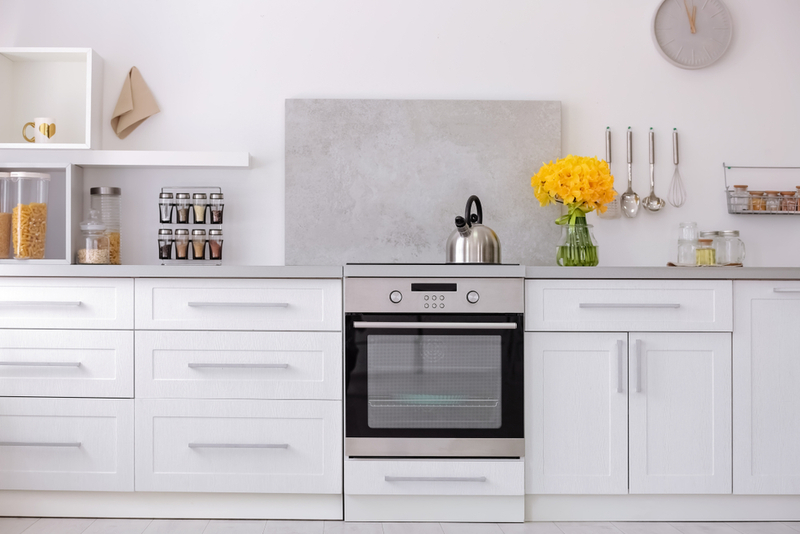 The kitchen is the most visited space in the house, so make sure you are prepared before embarking on this remodeling journey. There are several changes you can make when the time comes, so we created a list to help you get started. Here are 7 easy upgrades to consider to bring your dream kitchen to fruition! Rather than installing completely new cabinets, painting tarnished or scuffed cabinetry is a cost-effective way to brighten the room. Make sure to scrub the cabinets before you sand, prime, then paint. Taking your time to do these proper steps will ensure that the final product is beautiful. Protip: Lighter colored paints can make your kitchen appear larger! There is more to your sink than simply washing dishes and running water. 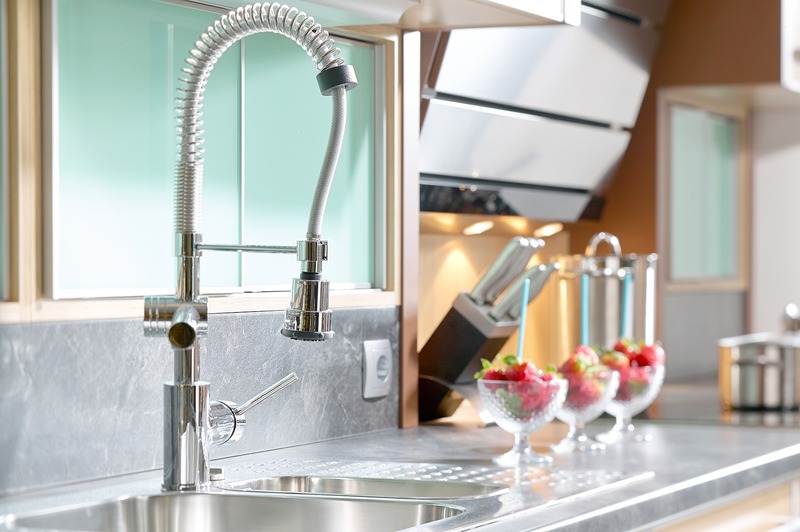 A beautiful faucet can take you one step closer to your dream kitchen. Rather than replacing the entire sink, try updating spouts, valves, finishes, and handles to improve the appearance of your sink without breaking the bank. Protip: Choose one of the most popular faucets from 2018 and your kitchen will start to sparkle like new. 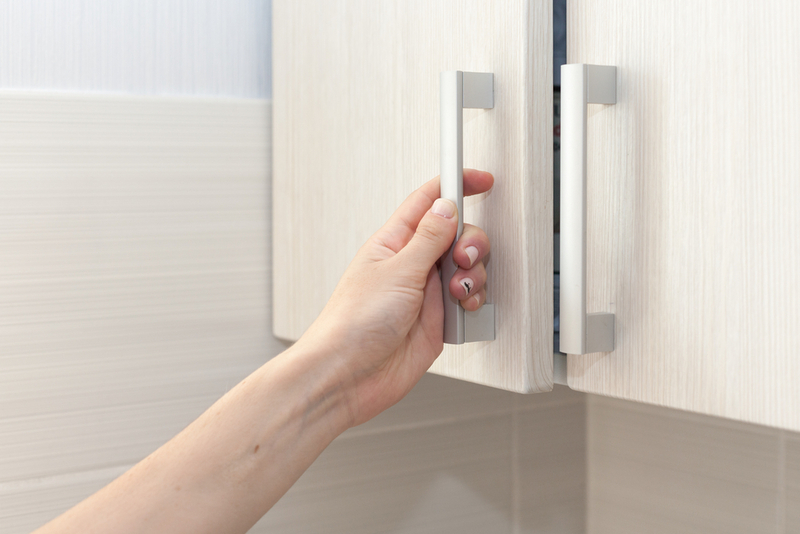 Replace knobs and drawer pulls with classic finishes such as brushed nickel or stainless steel for a “brand new” look. Even if you aren't handy, knobs are easy to replace with very little difficulty or risk. Hardware stores like Home Depot and Lowe's carry a variety of all sorts. Protip: Make sure to do this step last if you plan to repaint your cabinets. An out of the box idea that will make your kitchen more efficient is switching up how you store your food, pots, pans, and appliances. Pots and pans have long handles that fit perfectly into tall cabinets and pantries or hung on overhead racks. 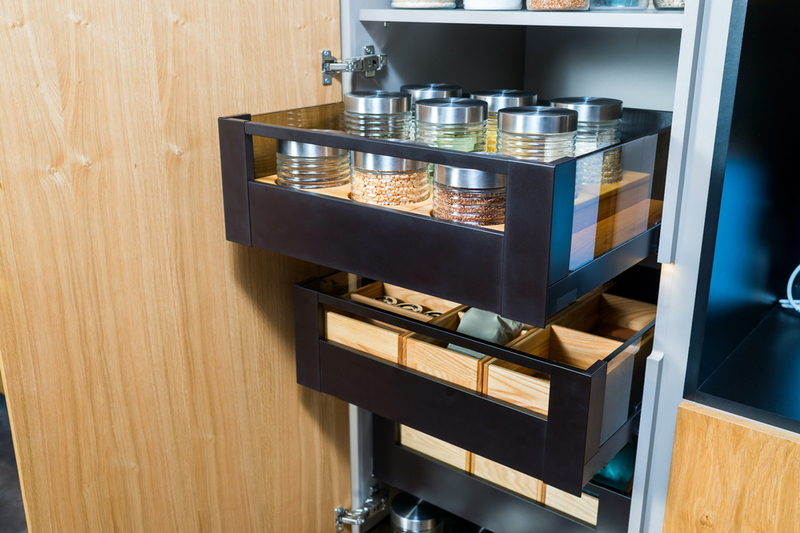 Store your food in the pullable deep drawers for easy access while cooking. Protip: Storing kitchen items efficiently will declutter the room and is a simple way to give the room a "new" feel. Fresh paint is a must-do if you're looking to transform your kitchen. Why stop at just the cabinets? Create a focal point in the kitchen by painting the island siding a contrasting color. 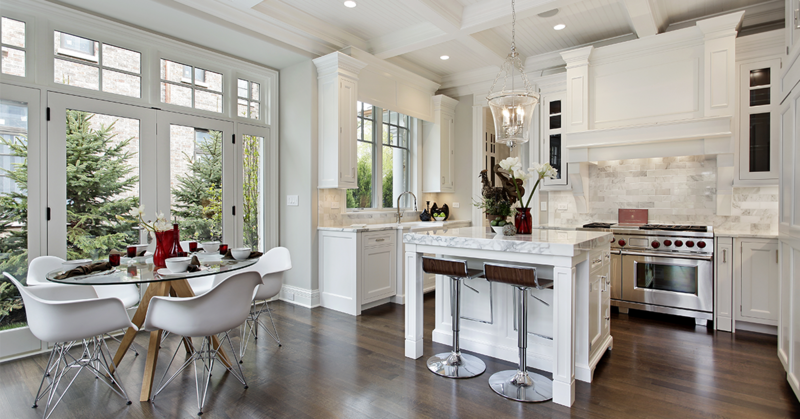 While the clean, white look of kitchens continues in popularity, soft shades of gray are also on the rise. Protip: Hire a professional to ensure perfection in the finest details. It's cheaper than you probably think and can be well worth it! 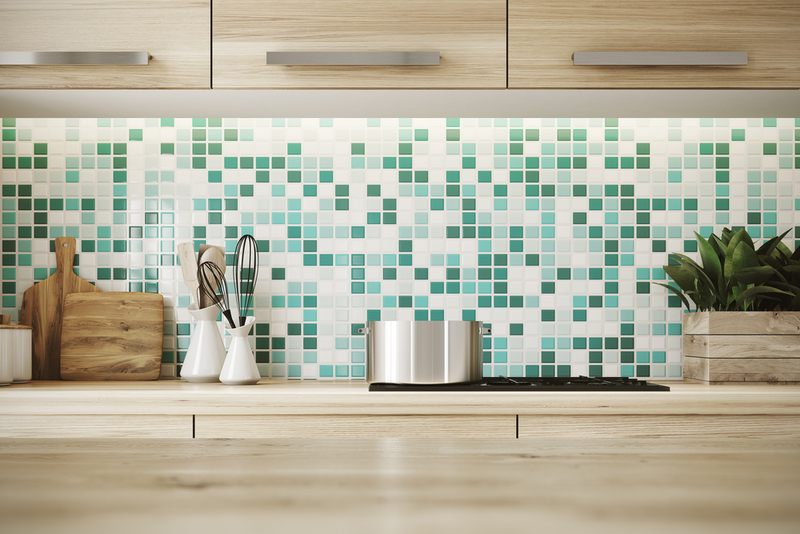 If you haven’t replaced your backsplash in more than a decade, chances are it’s outdated. A kitchen backsplash can compliment the counters and make a bold statement. If yours is outdated, it’s fairly simple to replace with a little DIY know-how. From classic tile to mosaics or even wood, easy peel-and-stick options are available. Protip: Searching Pinterest for "kitchen backsplash ideas" will provide a plethora of options to inspire you. Lighting is a key feature in creating an open and inviting space that future buyers will love. If you have pendant lights or lamps, make sure they’re still in style. If not, invest in modern lighting fixtures that will have appeal in today’s housing market. Adding under cabinet lighting is another quick fix that makes a huge difference. It’s relatively inexpensive and will brighten up your counter space. 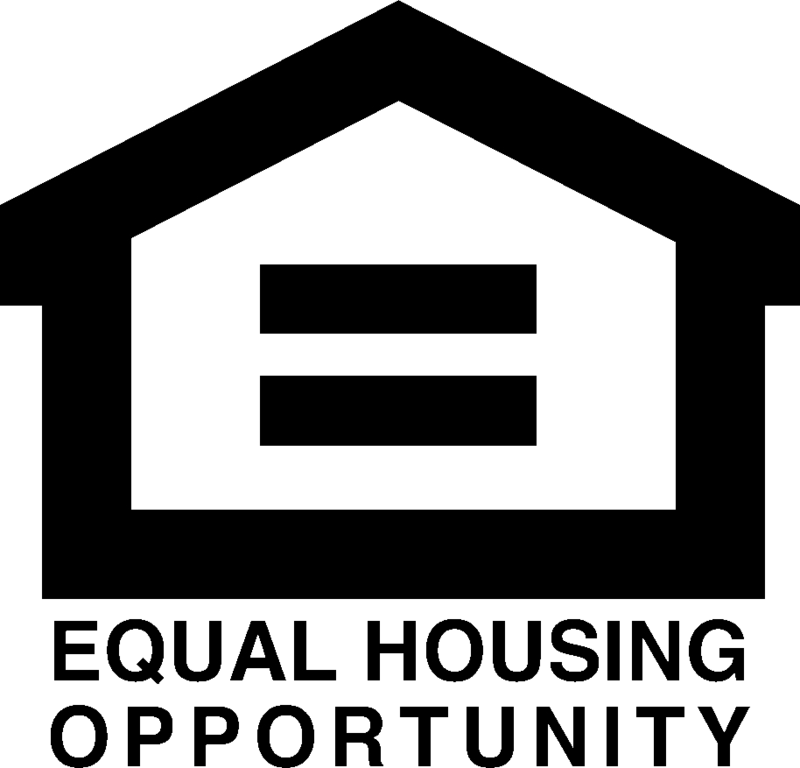 Protip: Invest in smart bulbs which are internet-capable LED light bulbs that allow lighting to be customized, scheduled and controlled remotely.